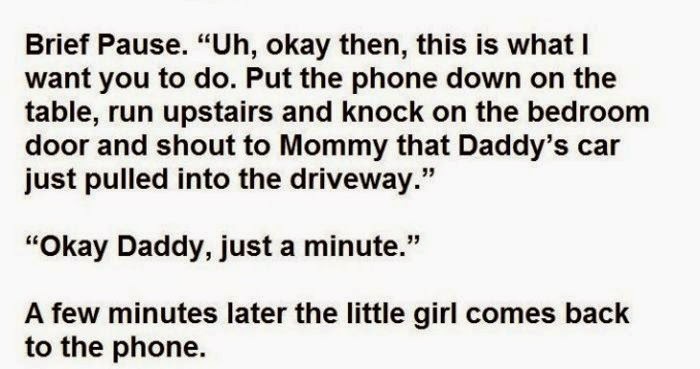 This man's daughter let it slip that mommy was having an affair. What happened next is just hilarious. 0 responses to "Daughter Lets Dad Know Mom Is Having An Affair (3 pics)"